The Temperate Deciduous Forest biome has 4 period of seasons- Summer, Spring, Winter and Fall, it drastically varies from season to season but one thing that is consistent is its beauty. Evanescent Deciduous forests are famous in Chile, North America, China, Japan and Australia. 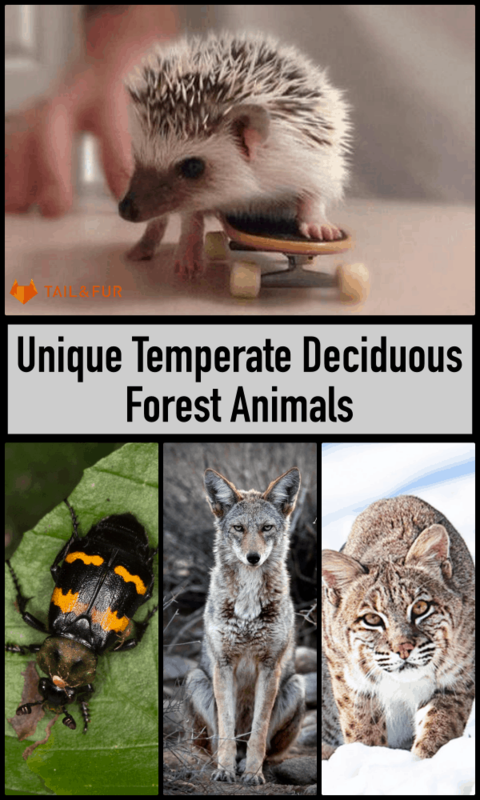 Temperate Deciduous forest is dominated by the trees that lose their leaves every year and Temperate Deciduous Forest Animals have adjusted themselves to the surrounding habitat. The leaves of all trees in the deciduous forest, fall off before winter and every year before winter, it changes into the beautiful color and shed. The trees stay bare throughout the winter and then re-blossom in the spring. The forest inhabitants have adapted to these annual changes. Trees get habituated to the winter and go through a period of dormancy and develop thick bark around them for protection. Animals will change their habits according to the environment and enjoyed in their own way so, here are some pictures of rainforest animals melt your heart. 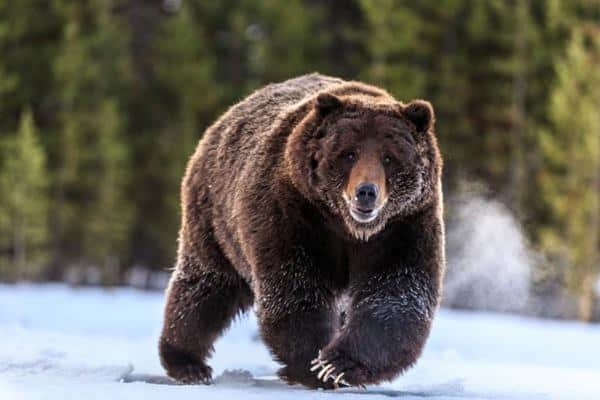 Whereas, Unique Temperate Deciduous Forest Animals to Know About go into hibernation during winters and live off the land during other seasons. Brown Bear are seasonal feeders and they hibernate during the spring to fall season. Their prey is Salmon fish, fruit and little mammals. 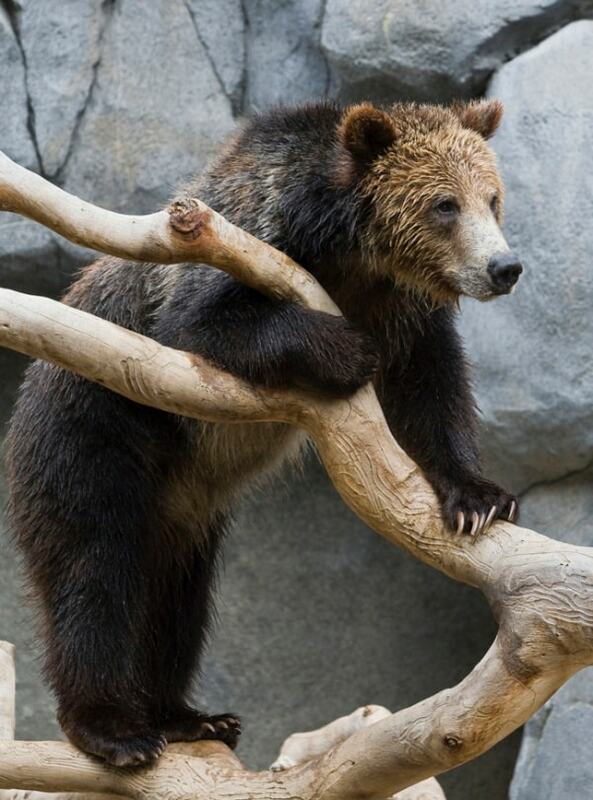 The home range of brown bear is extremely large and they are considered as less endangered. 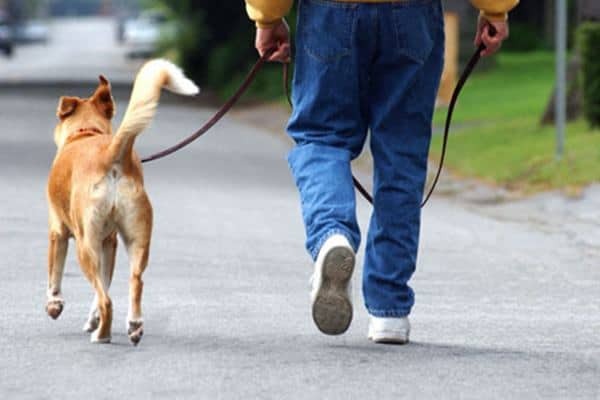 Fact– They can survive without food, water and urinating for over half a year. 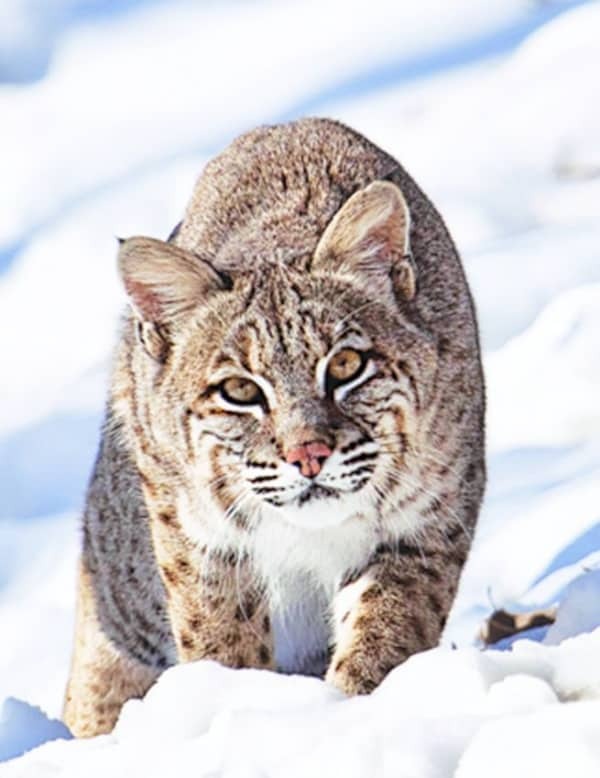 Bobcat hunts rabbit, hare, mice, and rodents. It is named after its tail, which appears to be cut or bobbed. The leaping bounce of a Bobcat can cover 10 feet. Fact– Bobcat does the majority of hunting in the dusk and dawn. They are most active during the twilight hours. Coyote is also called as American jackals, they hunt in a pack and their food includes reptiles, fish, frog and small rodents. They are known for howling at the moon. They hunt during the night and communicate with their pack through howls. 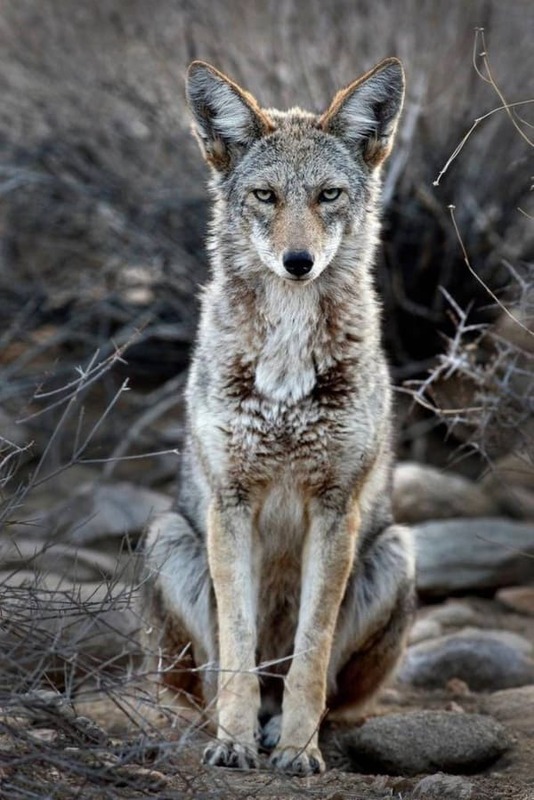 Fact– Coyotes mark their territories with urine. When hunting, they use teamwork and form a pack. 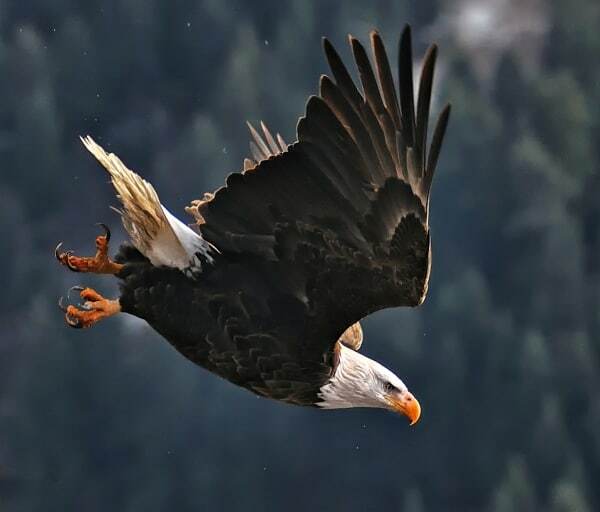 Bald Eagle is the national symbol of the US. They are clearly recognized by its white head and brown body. Female eagle is larger than the male. 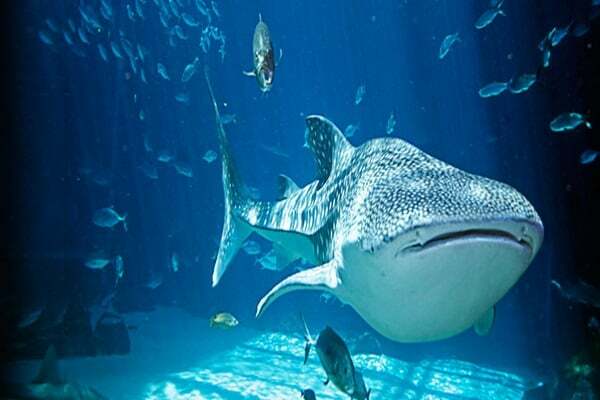 They feed on fishes, reptiles, and mammals. Yes, bald eagle eat a lot of fish but they don’t catch it themselves, they have perfected the art of stealing food from other birds. They also come under the category of animals who teach us how to be loyal in love. Fact– They live pretty long lives and they mate for entire life. Beaver’s ability to adapt to the environment is beyond impressive. They are the huge type of rats with front teeth utilized for finding food. 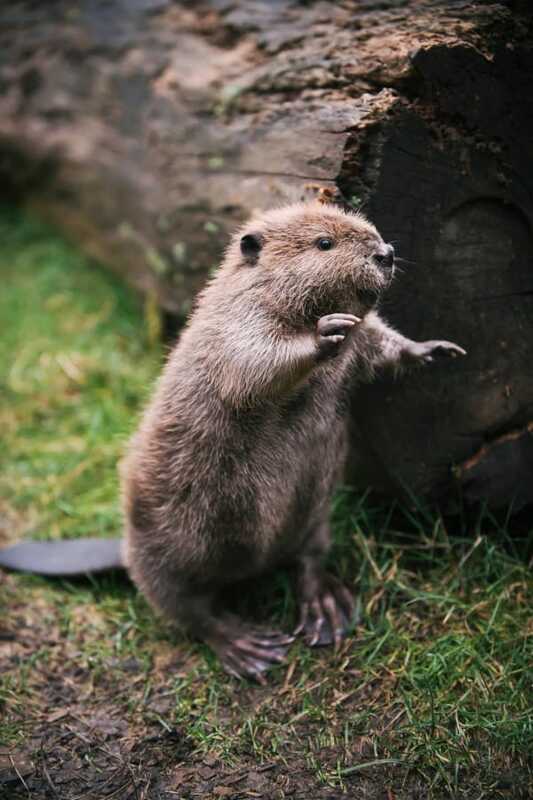 Beavers are herbivores, they consume fruit, tree bark, plants, and twigs. Fact– Beavers secrete a goo that smells like vanilla. It is used as vanilla essence. Castoreum, a chemical compound comes from its sack, under its tail. 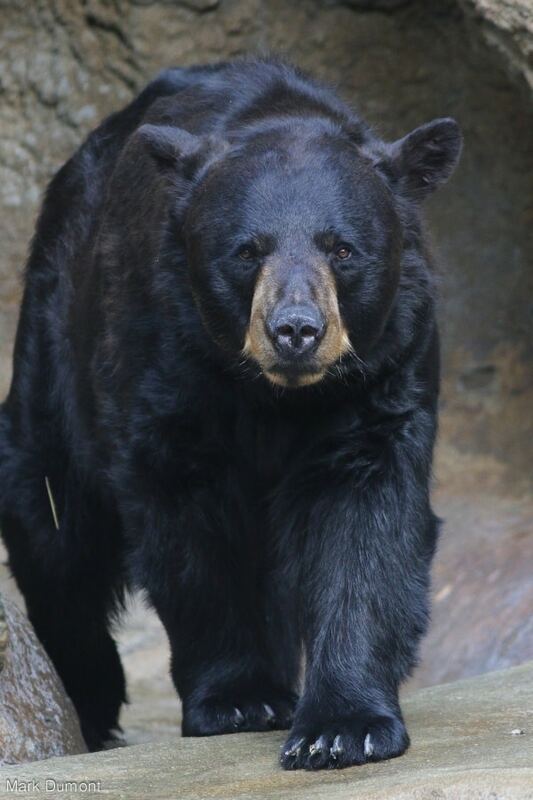 They are only found in North America, American Black Bear are excellent climbers and communicate with grunting and marking trees using claws and teeth. They have an exceptional sense of smell. Fact– American Black Bear are good swimmers. An adult bear can swim up to nine miles. 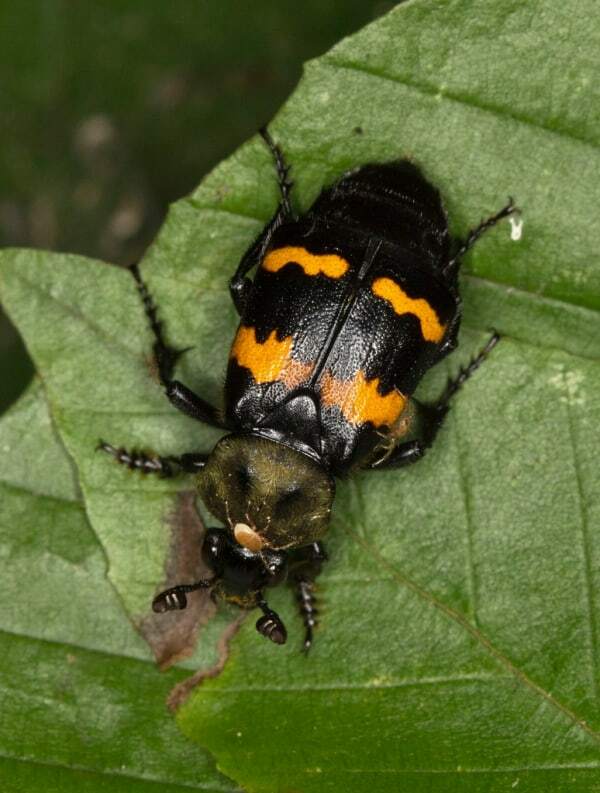 The American burying beetle can be easily identified due to its distinctive coloration, shiny black with bright orange markings, there are four orange bands on the wings. This small creature eats nuts, insects, bird’s egg, seeds. 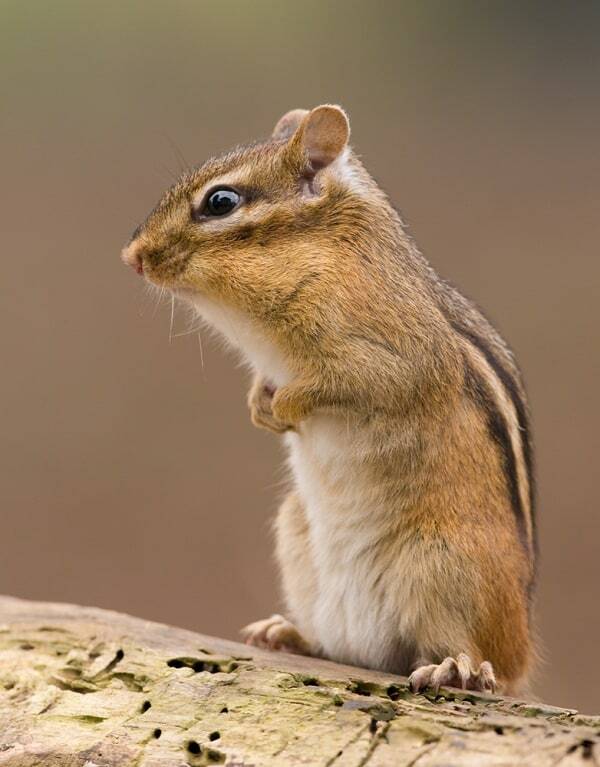 They store food in their cheeks in order to carry for storage. They have two more front teeth than other chipmunks. Fact– They don’t hibernate during winters. Hedgehog eats mushrooms, caterpillar, beetles, and frogs. 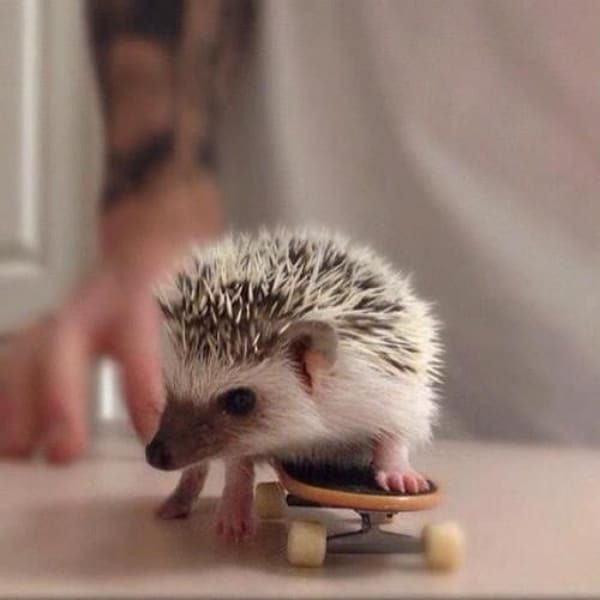 Hedgies are known for their excellent sense of hearing and smell, but they have poor eyesight. Each hedgehog has around 50,000 spines on its body. 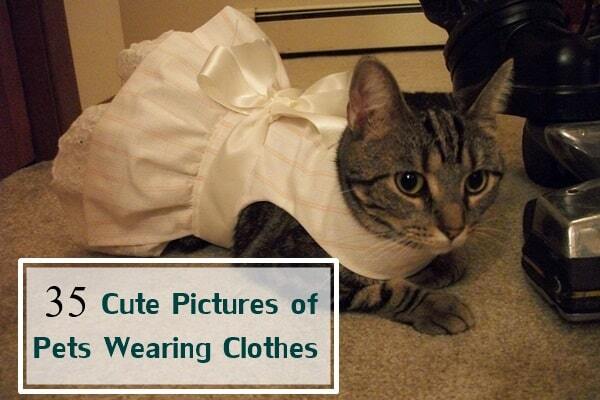 they also come under the category of Exotic Small Size Pets for Kids. Fact– It can run over 6 feet in a second. 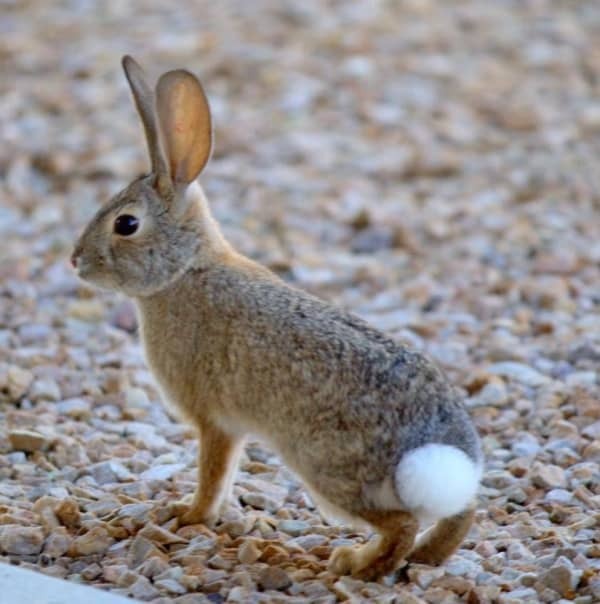 These rabbits are commonly found in Canada, Eastern Cottontail is a herbivore and eats grass, plants, fruits, and twigs. They can survive up to 3 years. They are nocturnal and hide under thick forest during the day-time. 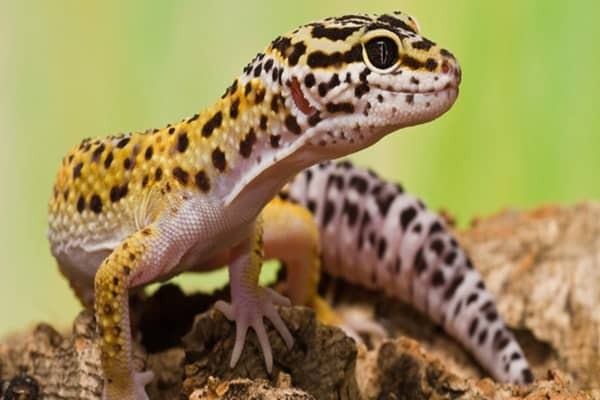 Fact– They run in a zig-zag manner to escape from their predators. 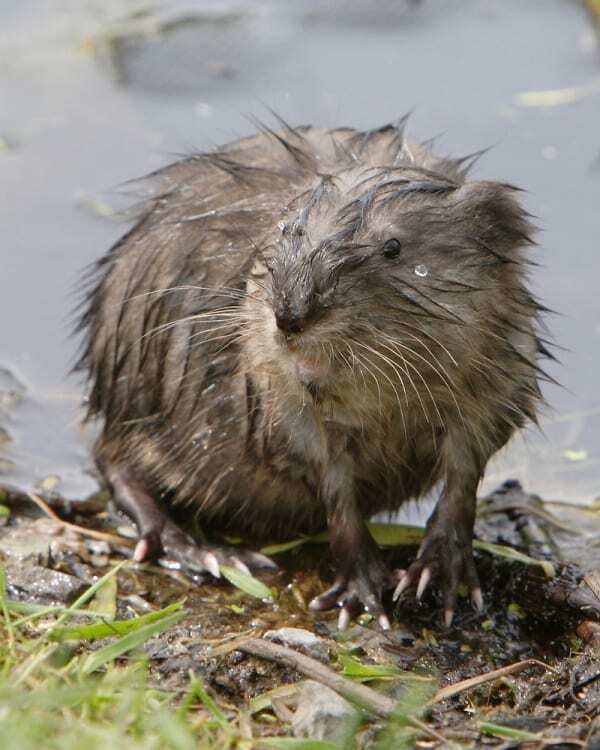 Muskrat is tiny, dome-shaped and semi-aquatic. They live around the water marshes and lakes. The mainly feed on shellfish and water plants. Foxes and raccoons are their predators. Fact– they have the ability to hold their breath underwater for 15 to 20 minutes. Nocturnal in nature, they are small relatives of the bear. 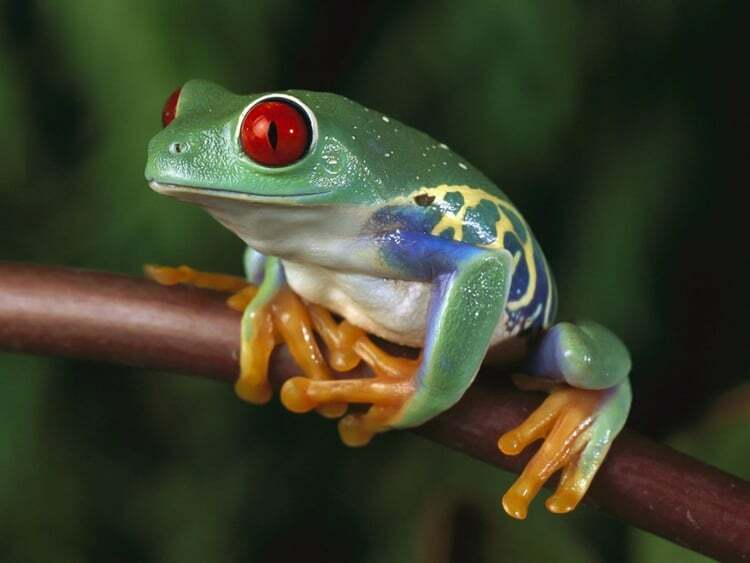 They have high sensitivity to touch and they are good swimmers and climbers. 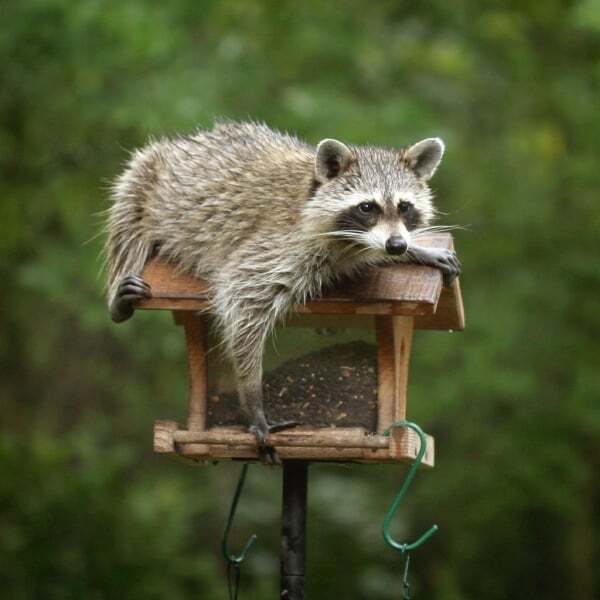 Raccoons don’t hibernate and spend winters in the burrow. 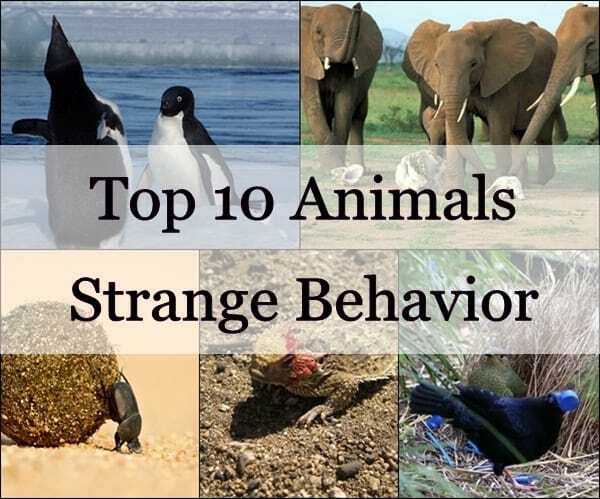 They like to eat insects, eggs, and small mammals. Fact– Raccoons have hands just like the humans. They have five fingers and use to hold food, open nuts etc. Most of the people know wolverine as a superhero by marvel. 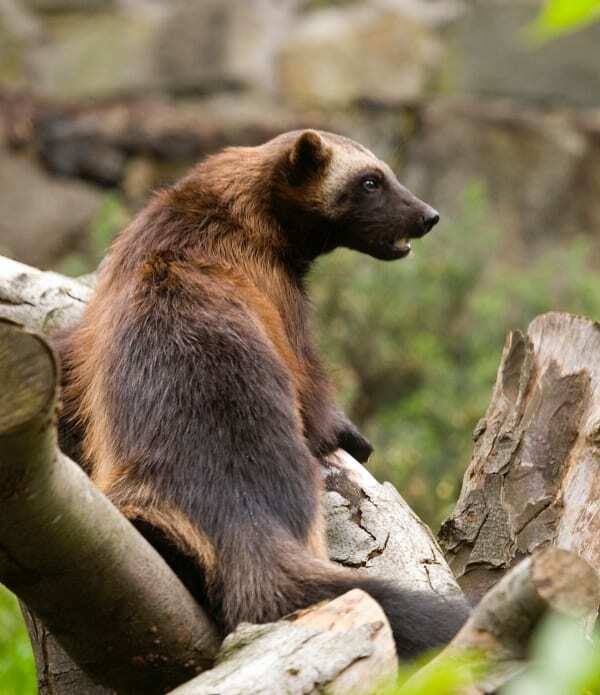 But Wolverine in real life has short legs, a rounded head, and a bushy tail. They are expert at living in artics. They also considered the dangerous animal, as they attack humans. Wolverines make a good father. Porcupines have sharp and spiny hairs to protect them from their predators. They are the third largest rodent. 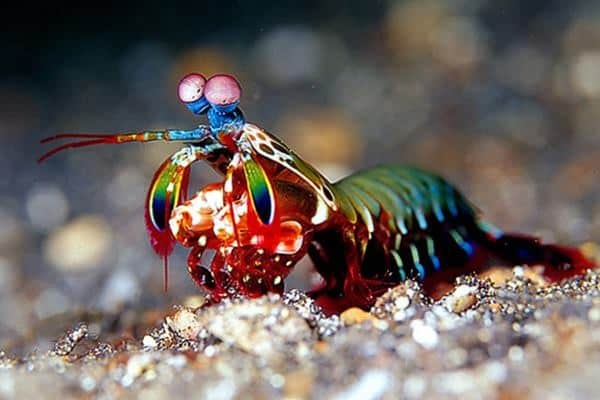 Fact– It has 30,000 spines on their body. 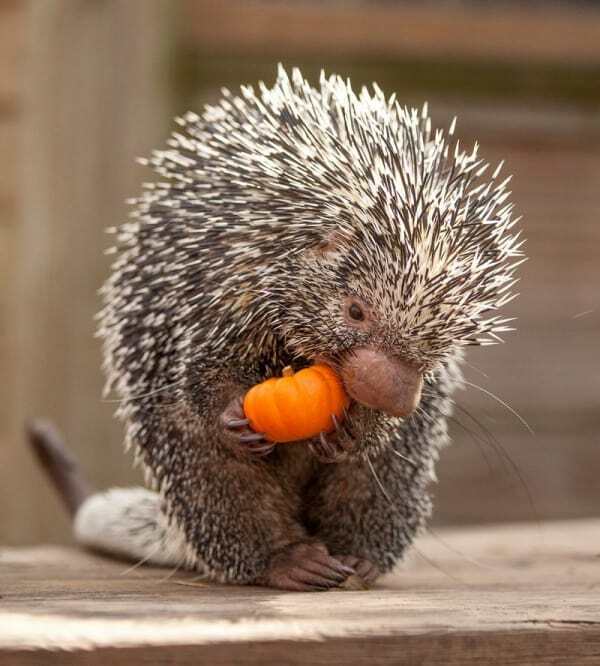 Baby porcupine has soft quills and they, later on, become hard and sharp. 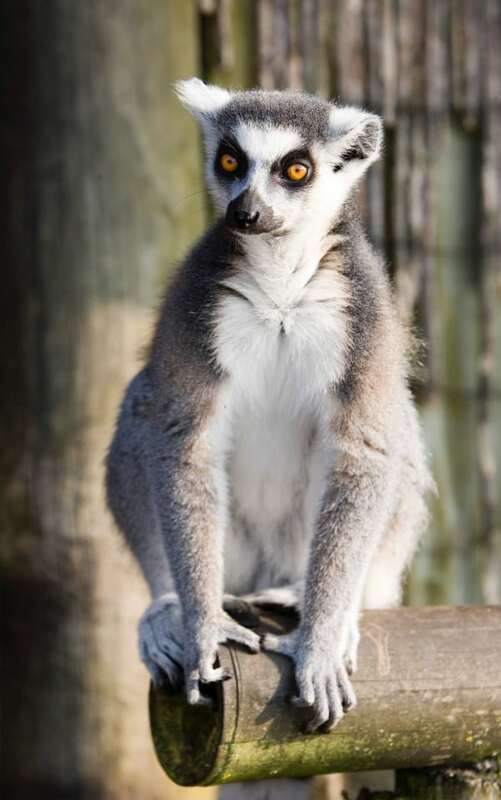 Lemurs are cute and their natural habitat is in Madagascar. 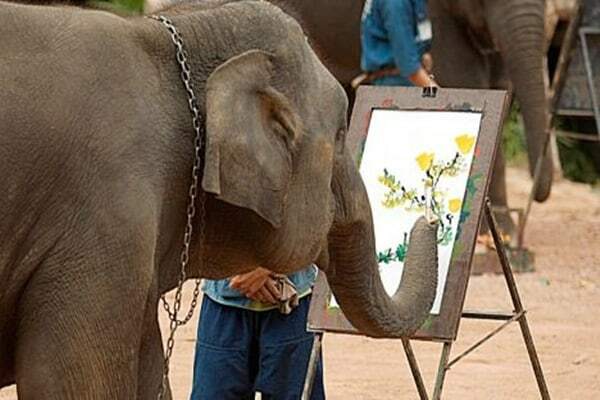 They are critically endangered. Lemurs are ruled by the females. They have blue eyes and are surprisingly very intelligent like these kids must know the some intersting facts of ringtail lemur. 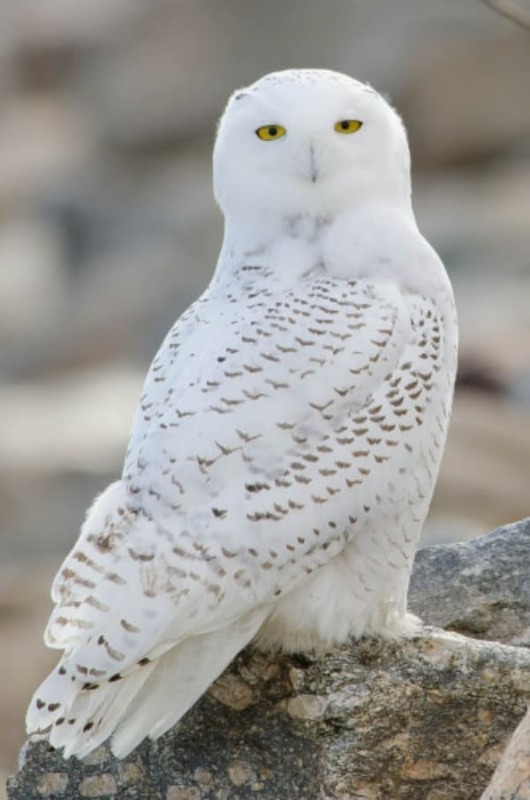 Snowy owls are white with narrow, sparse brown spots. They have golden colored eyes and their toes and claws are thickly covered with feathers. They mainly eat rodents and hare. People who love snowy owl will also, love to see these amazing White Snowy Owl Pictures from the House of Gandalf. Fact– They hunt during the daytime. They are known as best defenders of their nest. 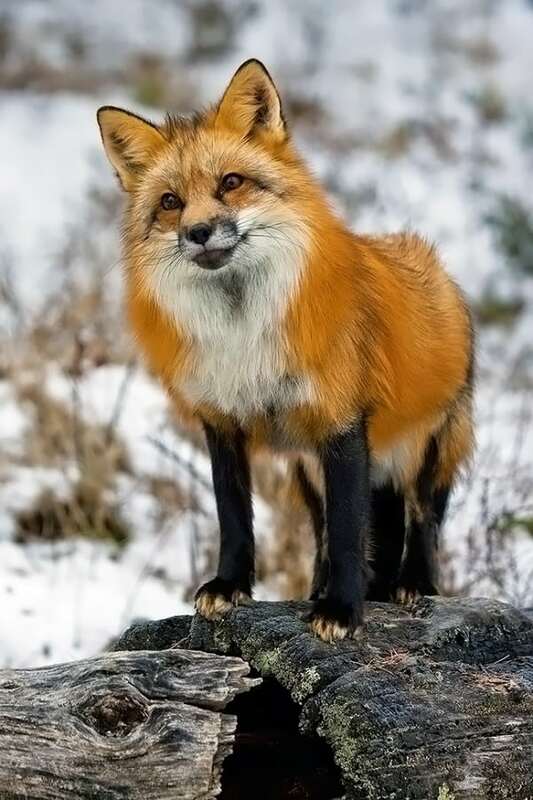 The red fox has a red coat that is white underneath and a big bushy tail with a white tip. They are known for their cleverness and adaptability to the surrounding. They feed on small birds and mammals like rabbits, squirrel. It is only found in Australian Deciduous forest. 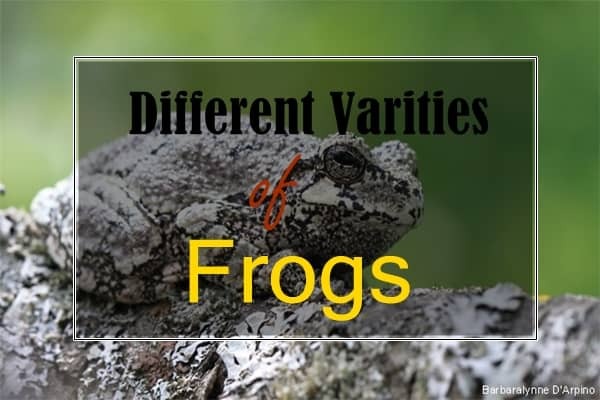 They have a very unusual appearance, with like beaver tail and duck like mouth, and like spider webbed feet. 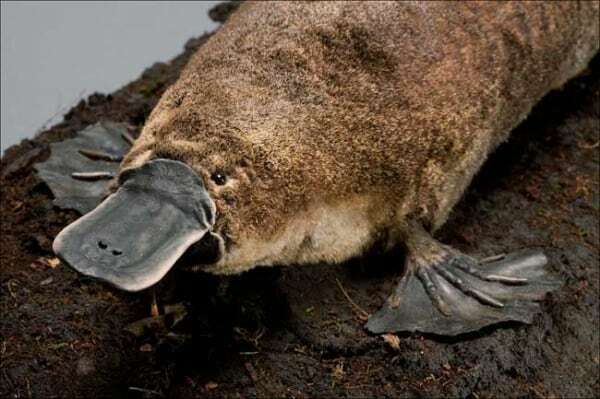 Duckbill Platypus are venomous. Fact– They are the only mammal that lay eggs instead of giving birth. 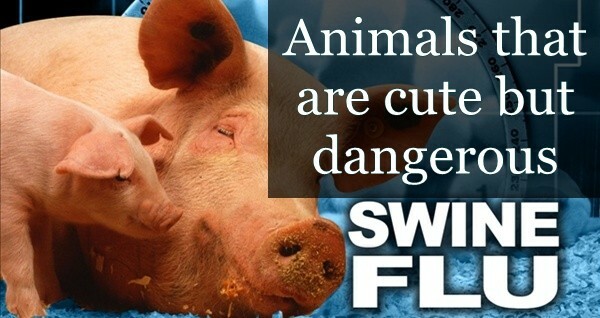 Please save them! Or else they will be extinct till 2030 or before then! 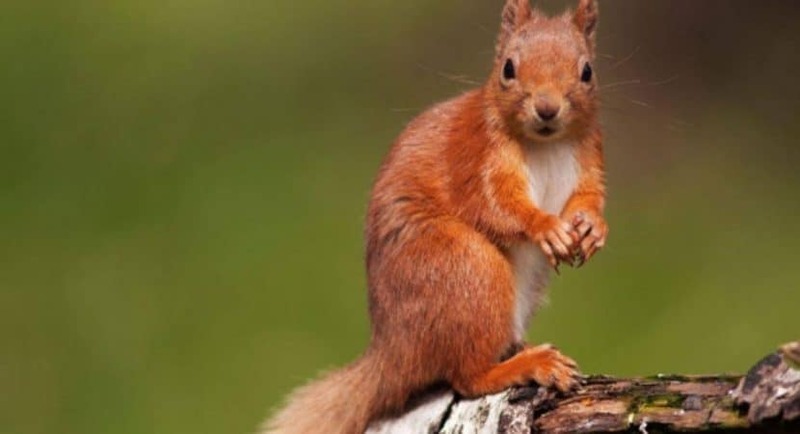 Great Britain, Italy, and Ireland are already witnessing the drastic loss of red squirrel. 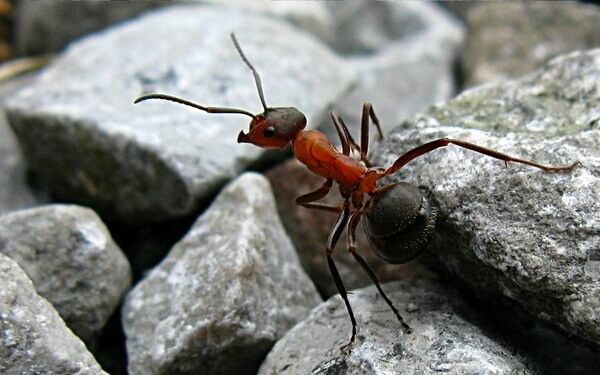 They are around 19-23 cm long from head to legs while the tail is additional 15 to 20 cm. 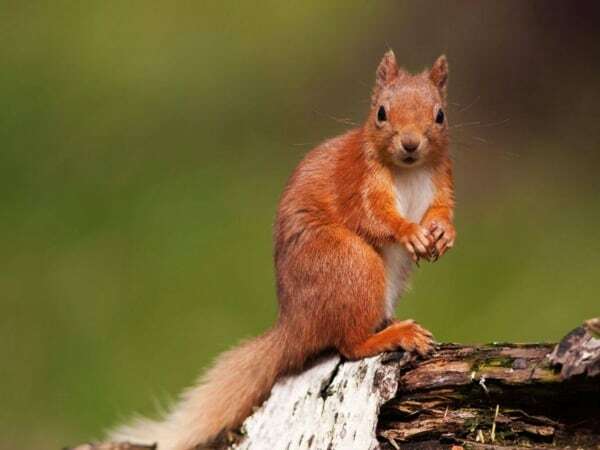 Fact – Red squirrels, irrespective of what gender, are sexually dimorphic. They have copper colored head and coppery bodies with brown or light brown colored cross bands, hence the name! 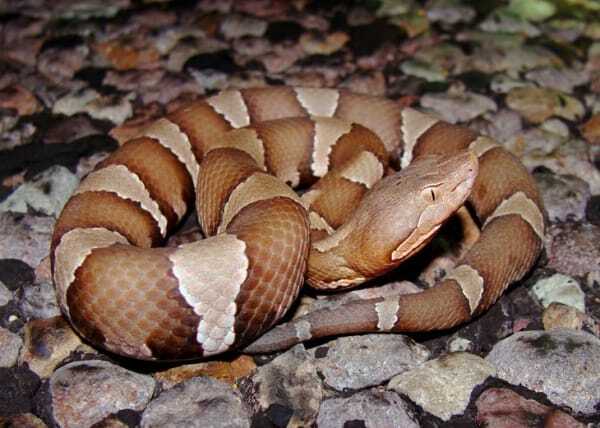 They have well-defined scales that makes even this poisonous snake wonderful and beautiful. Fact – They are gifted with the wonderful temperature sensor organ amidst the eyes and the nostril on both side of the nose. Isn’t it wonderful how animals and forest and weather and nature are so compatible with each other that they can adjust even in such Evanescent Forests?